This assignment builds on mobile reporting skills that you have developed throughout the semester. Here’s the breakdown: Your 90 second movie will be driven in part by an interview of your subject that is recorded with a Zoom recorder. Please edit your interview with appropriate pauses between strong sound bites. Your interview does not need to go wall to wall, it’s a good idea to pause the interview for your audience to hear ‘nat’ sound and focus on strong visuals. Mic placement (XLR shotgun or lav) and gain settings are important – record and edit gain at -12 to -6 db. It is important that you include distinctive ‘nat’ sounds in your story. You should film the interview, but you should only briefly show talking head shot in your final movie. You also need to shoot and edit strong b-roll clips to play along with your interview. Try to film your subject in three different situations. And try to shoot a sequence of actions of each situation. Include wide, medium, tight and detail shot in each sequence if possible. Use manual exposure. Proper exposure and white balance are important. Please, no shaky shots and make sure your focus is sharp. Basically your assignment is to record a 60-90 second interview that has a strong narrative arc, and shoot b-roll of your subject to tell a visual story. The success of this story largely rests on your ability to find an interesting subject with a story to tell, and one who will give you several hours of their time. And obviously their must be a strong visual component to your piece. The preferred camera for this project is a smart phone for fast, fluid shooting. This assignment will help you to build your visual mobile reporting skills. Smart phones are easier for handheld shooting. My JO205 Visual Storytelling class does a similar assignment, but uses DSLR cameras and tripods. So the look and feel of your results will be different, but equally professional. Shoot lots of b-roll and find a good opening and closing shot to use for your story! The above movie by Justin Saglio was shot with a dslr and does not contain your ‘nat’ sound requirement. Edit a 20 second video sequence using four clips. Shoot wide, medium, close-up and detail shot of your subject. Please choose a subject that’s visual. Also pick a subject where you can record unique ‘nat’ sound. A butcher shop might be a good place to find strong visuals and unique sound. Or maybe document the neighborhood cop, the street musician, or an Uber driver. Try to think who would make a good profile from your beat. Getting access takes time, so try not to rush the process. Make sure your subject will give you the time you need to complete your filming and sound recording. This can be done solo, but it is a good team project to split tasks of shooting video and recording sound. When you are finished filming, share assets with each other and then cut your own 20 second video. Add a title and credits. This is a non-sync sound project. After you add your four video clips to the project, add the ‘nat’ sounds. Try to create a J-cut where you lead with the sound, then show the video clip of what is making the sound. Use iMovie to create sequence, trim clips, add transitions, audio fades, sound adjustments to audio clips, lower thirds, title, and credits. Publish your movie sequence to your blog. And add 125 words to tell me who, what, when, where and why. We will use class time to review file management and iMovie editing. Your 20 second video is due next week. You may be able to use this 20 second video in your final project, which will consist of four sequences, an opening shot, a closing shot and an audio interview. Clean up your device, clear space to store files. Delete unwanted apps, back-up photos and videos using iCloud or Lightroom. Carry a charger with you. Transfer your video to the device you are using to edit in iMovie. If you are using the cloud you will need to download the clips through iMovie before inserting into your timeline. Click the cloud symbol to download. Transfer audio files with airdrop. To create a new movie, click the (+). Start by selecting the media you want to use. When your clip is selected in iMovie, hit the (+) to add it to your timeline. You can trim your clip in your timeline, or before you import it using the yellow bars. add a split to your clip where you need to create certain actions – like adding a title, lower-thirds, audio edit, etc. to fade sound – detach the audio, select the audio clip and find the fade control next to the volume slider. click on the T to create title. to add fade in/out or to select theme – click the gear next to the (+). pinch the clip in the timeline to expand or contract. don’t forget to add lower thirds, title, and credits. cut video clips on the action! When your movie is complete you can export it to Vimeo or You Tube using the share button. Save it back to your photo roll to save movie on your device. Embed movie to blog and share with social media to drive traffic to your site. When you create a post, please add tags and categories. If you tag your post well with unique and specific key words, your viewers will be able to find your work online. 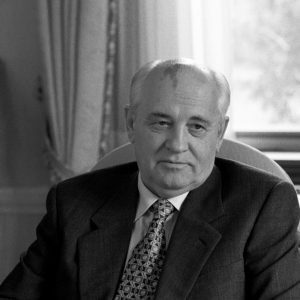 I made a nice sale yesterday because a Russian publication found a portrait that I shot of Michail Gorbachev on my site that they wanted to use in their publication. Categories are useful to organize your posts. It’s an easy way for you to curate your site to help your viewers to see the type of work that you publish. If you are using your blog for multiple BU journalism classes, please use JO304 as a category so that I can find everything that you publish for this class. If you are using Wix then click here to learn how to add categories. There are several different ways to embed Instagram Posts and video. The easiest way is to copy/paste the url directly into your post using the visual tab. You can also copy/paste the embed code (under the text tab) that you can get from Instagram, Vimeo or YouTube. Click here for tips on how to embed into your WordPress post. Three Mistakes All Editors Make!